Romantic Dinner at Home - Menu Ideas for a Special Evening! Enjoy your best romantic dinner at home with this collection of menu ideas. These recipes are tried and true and will help make your night special. You don’t need a special occasion like Valentine’s Day to have a lovely evening at home. Every day can be special if you focus on being together and sharing delicious, home-cooked meals. You can mix and match the sides and desserts for all of these romantic dinner at home menus, but these are the ones I would serve together. And here’s an article with 18 At-Home Date Night Ideas if you need some help planning your evening. I love to cook fish because it cooks quickly and usually doesn’t require much chopping of anything to go along with it. I hate chopping! This recipe has just a slight spiciness from the vinaigrette but I think you will love it even if you don’t eat spicy food. The banana split dessert is probably the easiest dessert on this blog! Baked Salmon with Chile-Caper Vinaigrette – this baked salmon recipe is one of my favorites and the vinaigrette adds just the right amount of oomph! Easy Kale Salad with Mango Chutney Dressing – my Kale Salad is nutritious and easy, and the mango chutney dressing goes so well with the baked salmon! Banana Split Dessert – kid and adult-favorite and so easy! 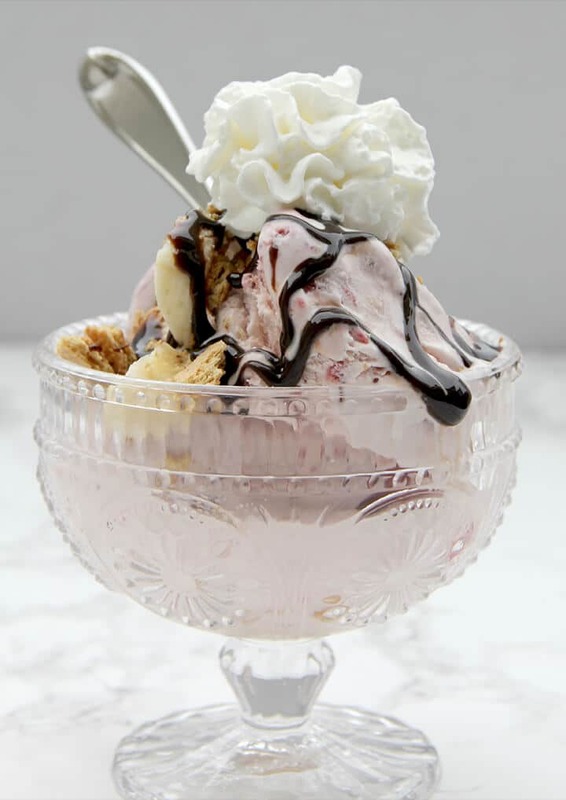 Just put the ice cream, cookies, bananas, and hot fudge sauce in a bowl! For the next romantic dinner at home, I’ve included a simple pasta dish with one of the most popular recipes on this site, my famous Fudge Pie! My family doesn’t love ricotta cheese, so I created this skillet lasagna recipe without ricotta. And if you want to make regular lasagna, this recipe doesn’t use ricotta either. 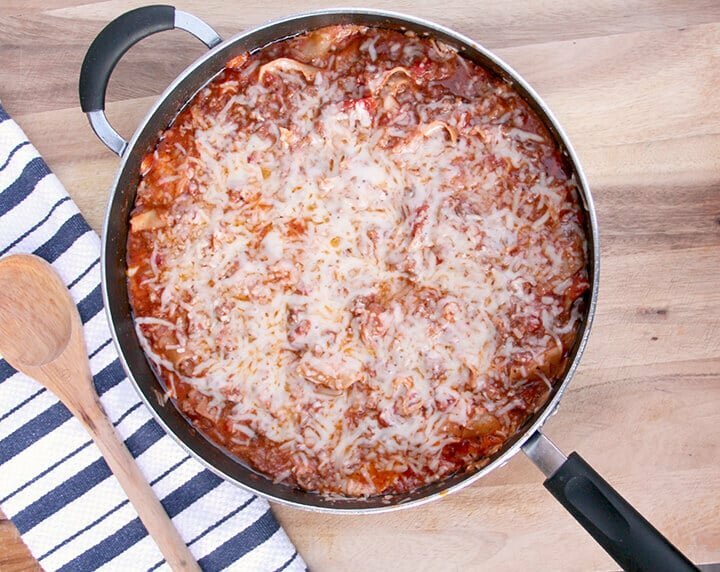 Easy Skillet Lasagna without Ricotta – you can make this skillet lasagna in less than an hour and have plenty of time to watch a movie after dinner! Green Salad with Arugula and Fresh Herbs – a simple green salad that goes with almost everything. The fresh herbs in this salad give it a little zip and the lemony vinaigrette is good with chicken later in the week! Fudge Pie with Cocoa – Easy and Amazing! – this recipe is a reader favorite and so easy that even my toddler grandson can make it! Tip: The pie can be made a few days ahead of time. Good luck keeping it around though! Maybe your romantic dinner at home includes the kids and is a special family night dinner at home! We used to do that all the time! Kids love these parmesan chicken cutlets and the chocolate molten lava cake. This is one of my all-time favorite family menus. 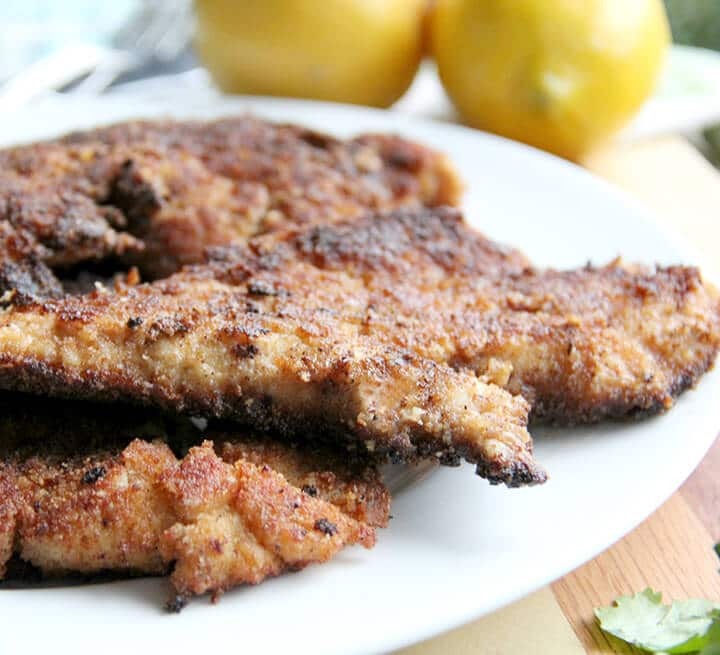 Easy Parmesan Chicken – take your standard chicken cutlet recipe up a notch by adding some grated Parmesan cheese. Kids love it! Adults too! Garlic Roasted Green Beans – these green beans will roast while you’re cooking the chicken. I love the flavor combination of garlic with olive oil-tossed green beans. Stove-top Mac and Cheese – if you want a starch to go with your meal, this simple stove-top mac and cheese is quick and easy and a reader favorite! Chocolate Molten Lava Cake – I don’t even have to say anything about this, right? Gooey melted chocolate inside a delicious, moist cake. Life is good! Tip: You could substitute Southern Green Beans for the roasted green beans. This romantic dinner menu is a little fancier, but still pretty easy. The cake is a little time consuming but the rest of it can be done in an hour or so and the cake can be made a few days in advance. 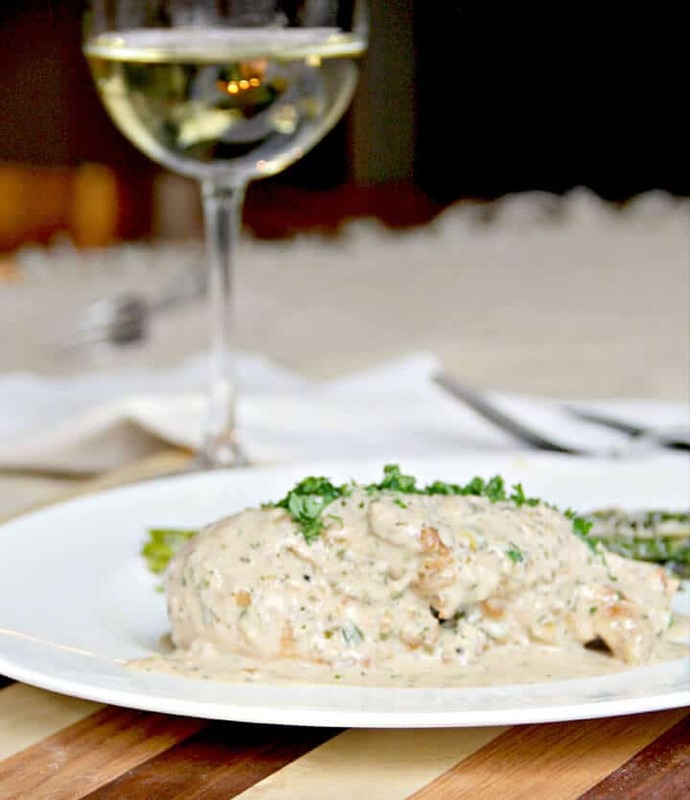 Mustard Cream Sauce Chicken – if you want to spruce up your chicken, this recipe is the way to go. The mustard cream sauce is not difficult to make at all and the flavor is outstanding! Cheesy Polenta – my polenta bakes in the oven and only requires stirring a few times. Throw in some cheese and you’ll have a yummy side for any grilled or roasted meat. Green Salad with Arugula and Fresh Herbs – my favorite salad, lightly flavored with fresh herbs and my lemon vinaigrette. It’s perfect with the chicken! Red Velvet Cake – isn’t this the most romantic cake there is? I think so! 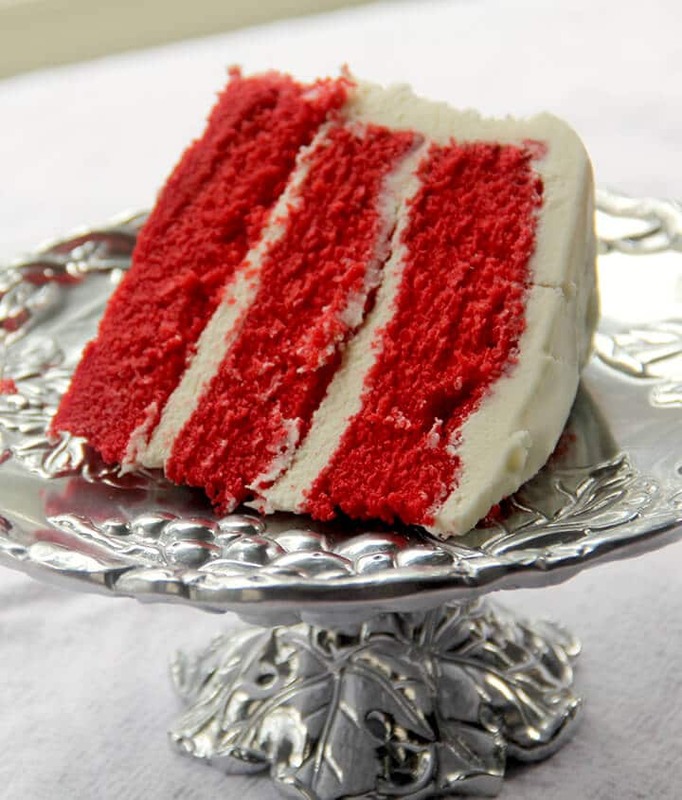 Don’t be intimidated–red velvet cake is not hard to make and it’s so worth the effort! Ah, a favorite for those cold, winter nights and perfect if you’re looking for Valentine’s Day dinner ideas. You could put the short ribs in the slow cooker in the morning and make this menu a totally doable weeknight Valentine’s Day dinner menu! Braised Short Ribs – this one requires some chopping, but it’s oh so worth your trouble! The red wine deepens the flavor and the meat is so tender! Easy Mashed Potatoes – secret: you’re using frozen potatoes to make these homemade mashed potatoes in about 15 minutes! They’re easy and great for when you’re pressed for time. Chocolate Chip Cookie Pie – now this dessert is a show-stopper! When you pull out the skillet full of a warm chocolate chip cookie pie, you’re going to see a smile on your sweetheart’s face! Need more inspiration? Try these 25 Stay at Home Date Night Ideas That Are Better Than Netflix! If you’ve tried any of these recipes, please leave me a comment below! You can also follow me on Facebook, Twitter, Instagram, and Pinterest. And please join the Southern Food and Fun Facebook group! Update Notes: This post was originally published February 11, 2017, and on February 12, 2019, was updated with one or more of the following: step-by-step photos, video, updated recipe, new tips.